45 Days- since my last post that we were well under way with harvest here at Snider Farms. A great number of those 45 days were filled with rain. Many of those days were filled with extra shifts, long nighttime hours and myriad bagged lunches packed by family members wishing to see their person at the dinner table instead of in the field again. 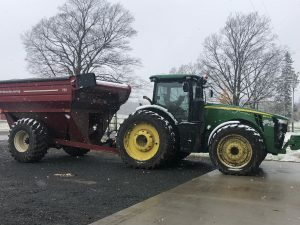 Some of those days were filled with the angst that accompanies breakdowns, of machinery and communication, and the wish that somehow the harvest progress was just going smoother. But today, Day 45, we celebrate because as of 10:00 p.m. November 8th, Harvest 2018 is complete!! Thanks to all Team Snider/Walsworth/Wittkamp, our own acres and the acres we custom combine as well, are out of the fields and in bins or at least trucks waiting to be hauled. A 45 day undertaking does not happen without dedication and hard work….and parts runs… and dark thirty transfers…and numb buns and brains…and well lots of other happenings. In this month of our collective thankfulness, we are grateful for this finish line crossing and just hours before our first measurable snow in West Michigan. 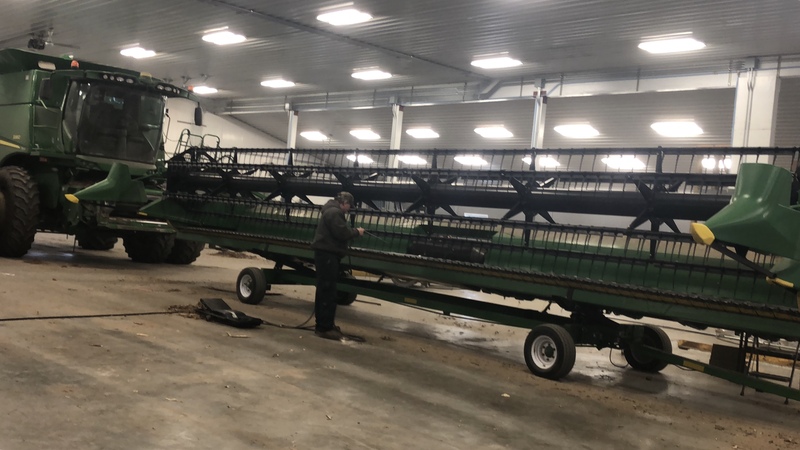 Machinery clean up has already begun and many of our crew are dreaming of hunting hours in just a few days, and with harvest not still in progress! 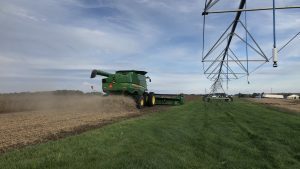 Our average yield per acre of corn and soybeans might be down this year because of lack of summer moisture, but I believe the all-round efficiency and effort levels are way above the norm. This time of year, autumn and harvest in particular, has often caused an unsettled place in my inward self. And in the passing of these last 45 days I have noticed it even more. Perhaps it is partly the call in nature to prepare for the winter and all the starkness that the cold and frozen days ahead signal. But even more for me at least, it brings the recollection of days now past, whether they are just 3 month old memories of this last summer or of the years that have gone by in my life and the people and ways that are no longer with me. Do these thoughts occur to others or just me in my mid-life (+!) thought wanderings…..? As I enter into my ‘nut gathering/hunker down for what’s next’ mode, I am celebrating all those who had a hand in our farm harvest of crops and how they each contributed their valuable time and best effort. 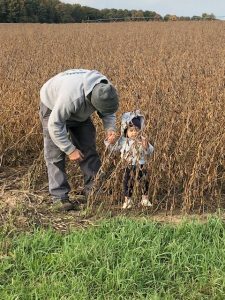 I am also turning over in my mind the fact none of us ever know if next Spring will be ours- to plant new crops, go on new adventures, or see the leaves again grace our beautiful hills here in Oceana County. But it is not with fear or sadness that I think these thoughts, it is with a heart full of thankfulness for the past and the hope of what is next. Eternity is in my heart (Ecclesiastes 3:11) and grows more real with each passing of planting and harvest.